QSAC1100 fits the QSWI1000 & QSWI2000 to attach to steel beams. The QSAC1100 are made out of aluminum & able to hold up to 250 lbs each. 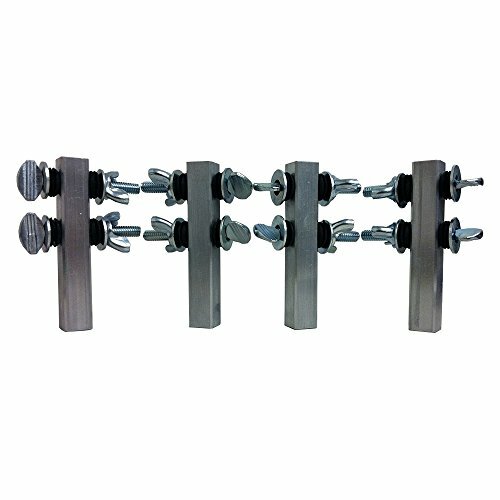 Each QSAC1100 is slotted to receive 3/8 threaded rod or C-clamps for easy mounting. Designed to overcome the obstacle of attaching to steel beams. Anti-vibration isolation & all attachment hardware for beam adapters are included. If you have any questions about this product by Quick-Sling, contact us by completing and submitting the form below. If you are looking for a specif part number, please include it with your message.